The arabs arrived at his office and the door to the adobe room closed behind them. Ahmad Shah Massoud, a man who had not put down his gun since the jihad against the Soviets, suggested he sit across from the large windows for better lighting.The arabs nodded their heads in approval, without preoccupying themselves too much with the commander’s position or the angle of light. The cool breeze coming in through the open windows disheveled Massoud’s hair, which had begun to gray. He was no longer a young anti-soviet guerrilla fighter. He was as much a seasoned statesman now as an experienced commander. Massoud fixed his collar, tilted his pakool in his trademark fashion, leaned back against the cream wall. His prayer beads: he kept thumbing with his determined fingers. An assistant placed a cup of tea in front of him as his long time-friend and advisor Khalili took a seat by the window. This is another chance to warn the world, Massoud thought perhaps. Another opportunity to shed light on the Taliban’s brutality, on their fanatic ideology. We consider this as part of our duty to defend humanity against the scourge of intolerance, violence and fanaticism. But the international community and the democracies of the world should not waste any valuable time, and instead play their critical role to assist in any way possible the valiant people of Afghanistan overcome the obstacles that exist on the path to freedom, peace, stability and prosperity. And just few months earlier, during a rare tour of the West, Massoud had sent a more direct message to President Bush from Paris. In April 2001 he warned that if the Taliban and their Al Qaeda allies were not dealt with, they would grow into a cancer for America and the rest of the world. Then, it would not be just Afghanistan’s problem. But Massoud was an increasingly isolated leader. His words seemed to carry no weight with the international community because his men only controlled less than ten percent of the Afghan territory. Their resistance to the Taliban did not seem anything more than a final hurdle that would fall sooner or later. So on September 9, 2001, as Massoud prepared for the interview, perhaps he saw another opportunity: to try to reach out to the Arab world. During the years of jihad against the Soviets, numerous Arab intelligence agencies had been close supporters of the cause Massoud had fought. Perhaps, he could extract some sympathy if he chose his words with care? Out of habit, Massoud asked for the questions to be recited to him before the arabs roll the camera. Khalili, his friend and interpreter for this interview, had a curiosity of his own that he wanted to fulfill before he could express Massoud’s request. Khalili looked to the arabs and asked: what television do you report for? One of the arabs replied that they were not journalists. They worked for an Islamic organization that had centers in Paris and London. Khalili looked at Massoud, a bit confused and skeptical. Massoud motioned with his head that it was ok, let them move on with the questions. Nothing about the questions seemed unfair to Massoud. What condition was his resistance in? Why had the Taliban managed to control so much, and his forces so little? one that raised Khalili’s eyebrows was: why did Massoud declare Osama bin Laden a killer on his recent trip to europe? But that question,too, did not bother Massoud. Ahmad Shah Massoud, once the legendary anti-soviet warrior and now an isolated commander who struggled to maintain a resistance, fixed his pakool hat one last time. Slowly, he raised his head high, and let an expression of confidence take over. The creases on his forehead, the gray of his hair were those of a statesmen. But the weary eyes were those of an exhausted warrior. He cleared his throat and then motioned to the cameraman with his eyes: he was ready. A flash. A bang. And the room collapsed. The large windows flew into the street. Darkness took over. His follower tried to play down the news of his death until September 16, but Massoud had not even made it to the hospital. 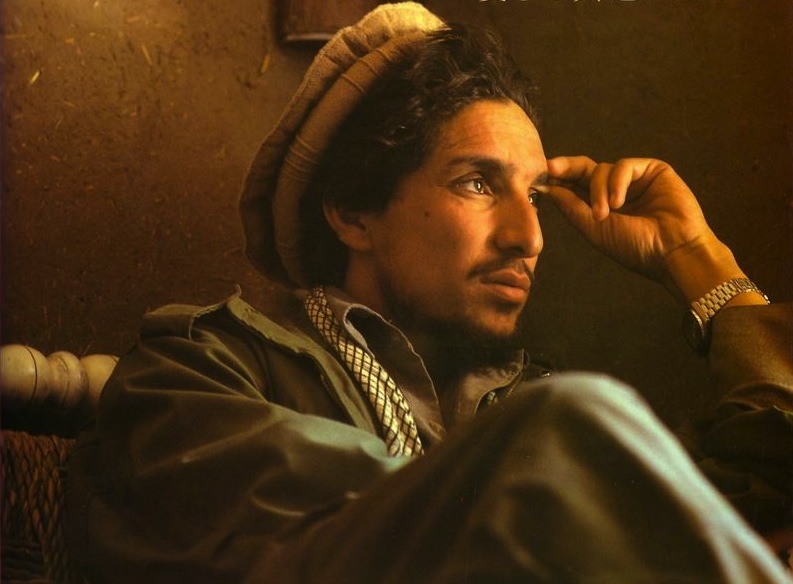 Part two of this entry will focus on Massoud’s legacy. This entry was posted on Thursday, September 9th, 2010 at 5:36 am	and tagged with 2001, Afghanistan, Ahmad Shah Massoud, Al Qaeda, Anniversary, Bush, Northern Alliance, Resistance, September 11, Taliban and posted in News and Politics. You can follow any responses to this entry through the RSS 2.0 feed. why the “warlord” characterization? is that not a very loaded word? i really like the post. but the title is a bit distracting. i will explain in the part two. for me, it has to do with his legacy.